I'll be updating this page as I receive new information. It's time to make plans to attend the Zenith Builder's Banquet for 2012. 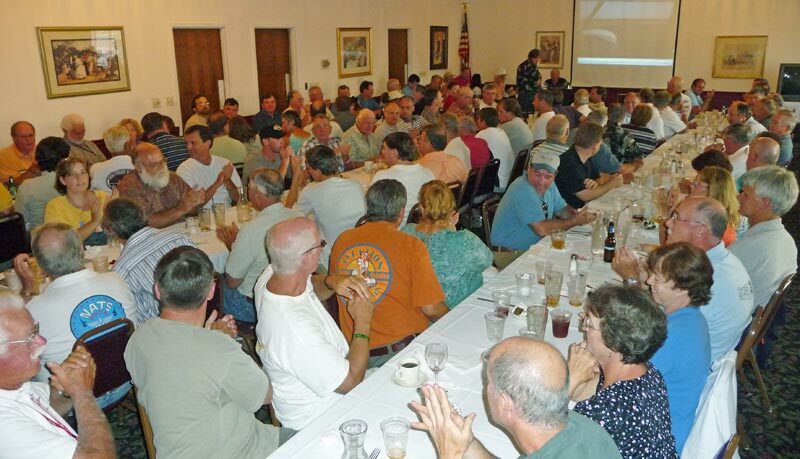 The Zenith Banquet will be held once again at Robbins restaurant in Oshkosh, on Thursday, July 26th, 7:00 - 9:00 pm. Wally at Robbins has been proud to have the opportunity to serve the builders of Zenith aircraft at Oshkosh for many, many years. The menu will be incredible as usual: Slow roasted prime rib, smoked BBQ ribs, herb baked chicken, Grouper with lemon butter sauce, and all the extras that make Robbins one of the finest supper clubs in Oshkosh. Join us early for cocktails before dinner. The price of the banquet will be $20 per person. RVSP at the Zenith booth by Thursday noon. Space is limited and we've filled up the banquet room the past few years so please be sure to RSVP. Note that there is some major road construction in Oshkosh at the present time and the Highway 21 exit for Robbins may be closed. If you stop by the Zenith exhibit at Oshkosh, you can pick up a brochure with the directions for Robbins along with banquet information, and the bus times and route for the Oshkosh transit system showing the Oshkosh downtown and college dorm area. Let us know if there's anything specific you'd like added or included in the program for the evening. Zenith Display: Come see us (and the airplanes!) in our regular location in the North Aircraft Display area, #640 and 641. In addition to our Zenith CH 650 and STOL CH 750 factory demo aircraft, we'll have a number of engines on display (from UL Power and Jabiru, and possibly others) as well as light aircraft floats, and we plan to truck up a quick-build kit fuselage assembly for display. Forum Schedule: We have busy Forum Schedule where we'll be sharing information on our light aircraft designs, kit construction, floats. and more. Here's the current schedule of Forums. (Check the official program as the schedule is subject to change). "Engine Day" at the Zenith Booth: Thursday, July 26, starting at 10 am. This is our first official "engine day" at AirVenture - to allow you to see the many different available engines to power your Zenith. We've invited all engine manufacturers to participate and to show their engines, and to allow you to speak directly with the manufacturer (or their representative) to ask technical questions about installing and operating their engine in the Zenith (as display space will be somewhat limited, we're concentrating on engines for our two-seaters - 65 to 150 hp:STOL CH 701, and the Zenith CH 650 / CH 750 aircraft). Zenith is one of few kit aircraft manufacturers to offer many engine choices to builders, and dozens of different engine types can be found powering Zeniths around the world. New engines and new technology have the potential to increase efficiency and reliability, while also lowering costs and complexity. We're hosting this event to allow builders to make the best informed choice in selecting an engine to power their light aircraft, and to promote and encourage new power technology. View engine video clip from Sebring. "Scott Ehni is bringing his scratch-built, turbine-powered Zenith 701 aircraft. The plane is powered by a modified JFS100-13 motor, which was originally used as a starter motor for an A-7 Corsair. The only thing not homebuilt on this aircraft is the tires. "The hand-blown windshield and door glass, 40-gallon wet wing tanks, and flush riveted construction on this modified Zenith were all techniques used to help streamline the plane and reduce the required fuel flow at cruise speed. Ehni and his building team did all paint, upholstery, and testing in-house." Our friends from Africa will be attending AirVenture once again, and they've promised to spend time at the Zenith booth (and in the Homebuilder's Hangar) to share some of their amazing building and flying experiences. Jonathan Porter heads Medicine on the Move and WAASPS in rural Ghana in western Africa, teaching young African women to build and fly aircraft, using them in innovative ways to change lives "one flight at at time." Pilot and mechanic Patricia, which many of you met last year at AirVenture, will be joined by handicapped pilot Lydia, along with Porter. The three are an inspiration to many of us, and a testament of how building and flying light airplanes can empower individuals... even in remote parts of Africa! We're looking forward to another fun week in Oshkosh and to meeting with both new and old Zenith builders and enthusiasts! We are so excited at being with you all again - Greetz to all of the Zenith Family!